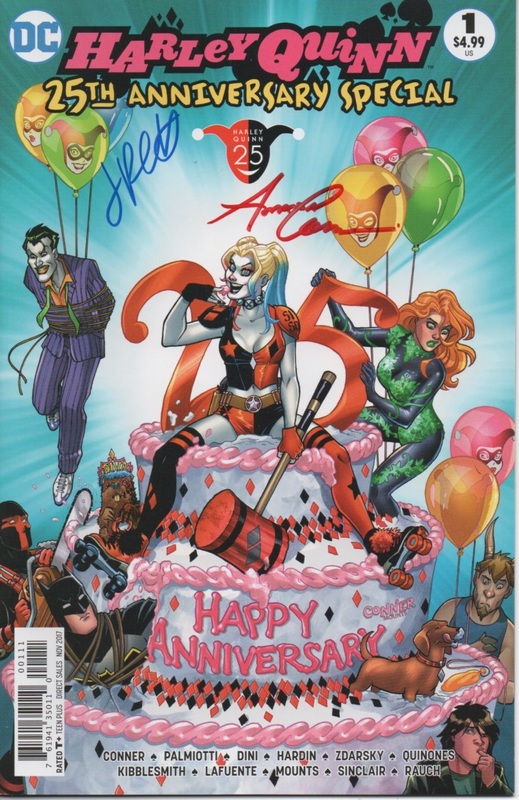 Submit your item(s) for signature (Conner & Palmiotti signed) Each item is $25 for both signatures and includes a PaperFilms Certificate of Authenticity. Upon order complete, a member of our team will contact you with all shipping information and details regarding getting your item(s) signed. To submit more than one item, choose the applicable quantity at checkout ($25/each, will be validated upon receipt from individual). Once item is received by the team, we will acknowledge the receipt of the item and schedule for signing. Item is returned back to individual upon signature. NOTE: Once an item is received, condition is noted and communicated to the user if there is any issues prior to signature. All signed item(s) will ship approximately 30 to 60 days after the receipt date. 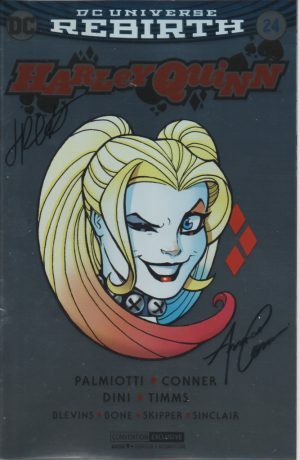 Due to the high volume of request for the hit team of Amanda Conner and Jimmy Palmiotti, we are extending the opportunity to our fans to allow you to submit your item(s) for the team to sign. 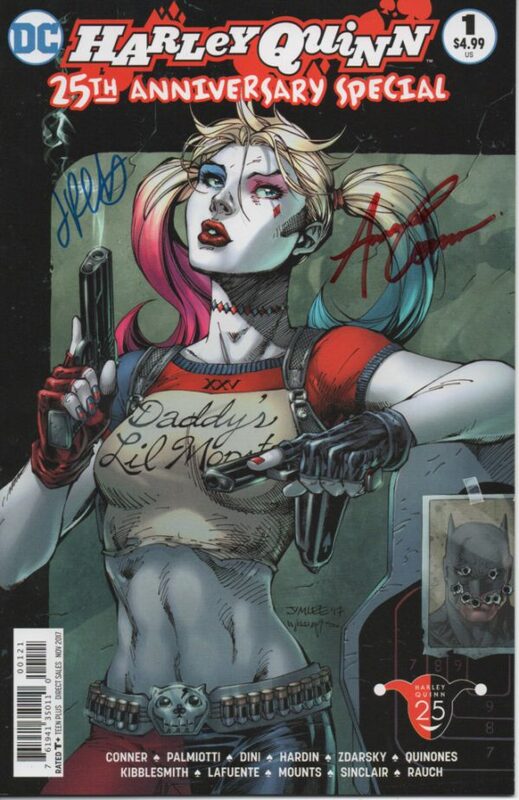 That’s right, you have comics needed signed. Done. Have some Vinyl Pop figures needed to be scribbled on. Done. 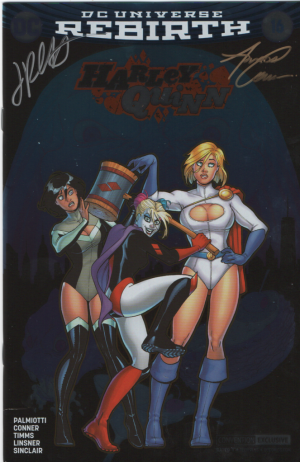 Have that one last Ash trading card that you never got Jimmy to sign. Happy to scrawl his name on it. This opportunity is a great way to have your items signed if you are unable to attend an event or wait in line. With this option, you will submit your individual item for signature, send it over to the team, we will sign it and ship it back to you. 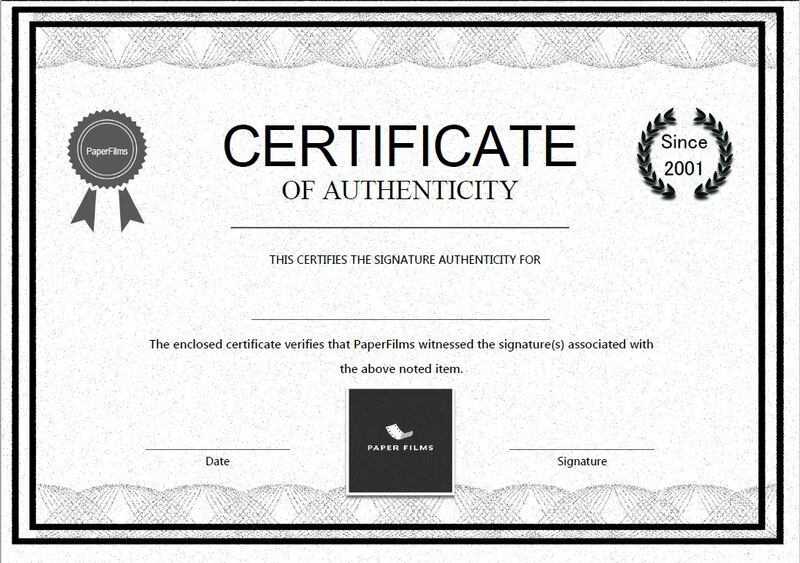 Each item will come with a PaperFilms Certificate indicating the item and that the team has signed it. This is a great way to ensure you had it signed directly from us. Each item is $25 for the team to sign. Make your friends jealous! **Please note, the team has the final decision of deciding if the item being sent is to be signed by the team. After purchase and communication with the store, if the item being provided is deemed not to be signed, a refund will be provided to the customer.